8 Main page is uneditable, but still says the game is in pre-alpha. I've gotten fairly good at simple editing processes; however, I am interested in something more dynamic but don't know where to look, or who, or even if a possible forum exists for discussion. Are there dynamic mouseover commands that can be embedded in the script such that when the person mouses over something, it could modify some text color between some theme background and something visible, a form of invisible/visible text? Example... User chooses one of a multiple choice response, the (textcolor) response "Correct" or "Try Again" is changed from the default background to something visible. I'm thinking specifically of the Lore section for Star Trek Online. If the responses "Correct" or "Try Again" were the same color as the background, they would be 'practically' invisible, then possibly a mouseover would dynamically modify the text color (temporarily) to make the text visible. That way instead of always seeing the correct answer in the third column, a person could hazard a guess and thus enable a feedback learning process. After all, no faster way to learn something than to try and realize you really already know it. I'm creating an infobox for classes (referred to as "patrons") over at the Soda Dungeon wiki, called Template:Infobox_patron. Some classes have two appearances of light or dark skin, but some classes only have one appearance. Links are being blocked or I would link straight to it. I'm trying to use some nested if-statements to determine whether the variables image1 (light skin) and image2 (dark skin) are present. If both are present, then I want the Extension:SlideBoxLightShow to juggle them on the page. If only one image variable was used, then I just want that image in the infobox. If nothing is present, then it includes the category "Infoboxes lacking images". 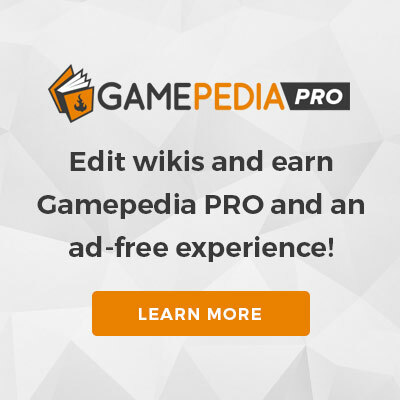 Since all Gampedia sites currently display advertisements, I had this idea of introducing a paid membership option that site forum sites have. The idea is that paid members would not see any advertisements and also get access to forum or chat room just for subscribers. Another idea is that only subscribers and existing users that already have enhanced profiles would have the enhanced profile option, and subscription might also be a prerequisite for becoming an administrator, wiki guardian or bureaucrat. This page was last edited on 9 February 2019, at 14:29.